This is going to be a short post. However, I know that some English language teachers follow this blog so I thought I would ask the question here. Over the last year, I’ve been following a number of blogs written by teachers of English. They are a great source of information in terms of what’s happening in the world of ELT and I’ve also picked up new ideas about things to try in class. I love the personal reflections too because they help you to get to know the person behind the blog better. I tend to use my blog to speak directly to my students and other students of English. I was wondering where to find other blogs that do the same. Do any of you write blogs with tips or resources for your learners? Do you know of anyone who does? If so, I’d be interested to hear about them. Please leave me a comment! Also, if you’re reading this and you blog about ELT or teaching business English, do let me know the name of your blog in case I’m not aware of it! Maybe if we can build up a list, it will be useful for other teachers and learners of English too. Feel free to share the post! Thanks for the tip and for reblogging the post. I didn’t know about your other blog. I have a blog called Independent English (http://independentenglish.wordpress.com) which is designed for students, although I haven’t posted on there for a long time because the posts take so long to write! I think the two most useful posts are about podcasts and Quizlet. Thanks Sandy – I haven’t listened to some of the podcasts that you listed in your post. I will check them out later! I have a blog called English with a Twist that is aimed at English Language learners. I hope your readers find it useful. That is a great topic! Thank you very much for posting those useful links here! :-) And Kirsty thank you for your wonderful work on your blog! I’m glad that you like the post! Hopefully some of the posts on the other blogs will help you as well. 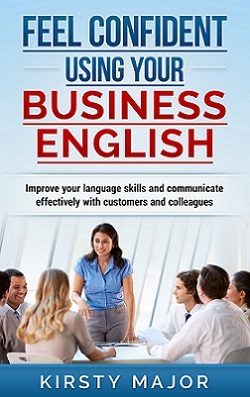 http://www.FunkyEnglish.com has a selection of English lessons and blogs for English learners. We share English blogs and have frequent discussions about English.